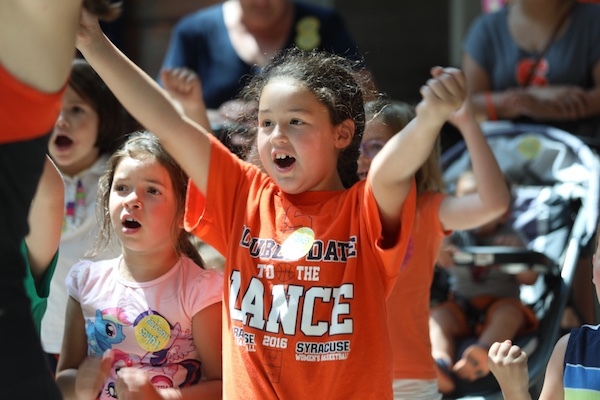 Tykes Tuesday returns with a great lineup of fun events kids will love. 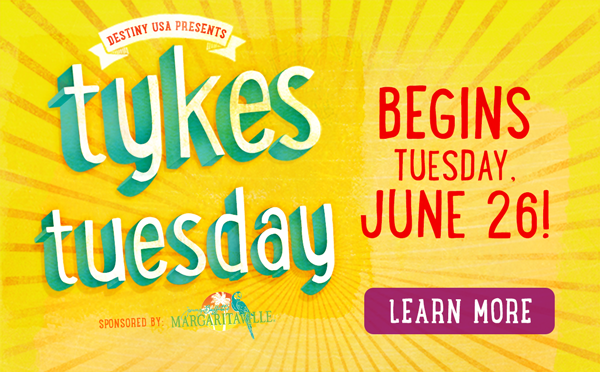 Brought to you by Margaritaville, Tykes Tuesday events will be held in the Canyon from 12pm-2pm starting June 26 and running for 10 weeks ending on August 28. Tykes Tuesday runs in conjunction with the $1 Summer Movie Express at Regal Cinemas in Destiny USA. Learn more about $1 movies here. What is Tykes Tuesday you ask? 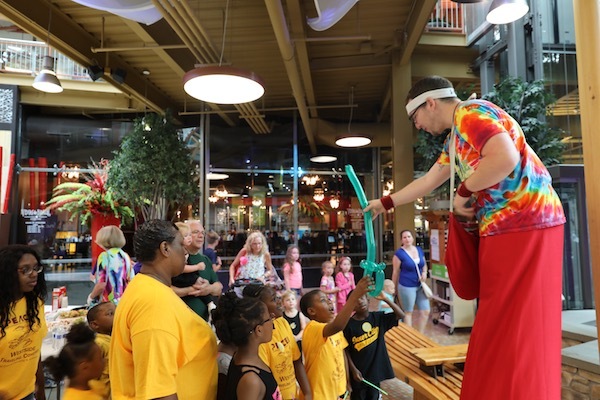 It is a day filled with fun activities for kids under the age of 12 to enjoy for FREE each Tuesday of the summer in the Canyon here at Destiny USA. August 28th: The Apple Store’s Summer Tech Day Additionally, a number of retailers, restaurants, and entertainment venues will be providing exclusive discounts for families who attend Tykes Tuesday. Flyers with these exclusive discounts will be circulated at the weekly programs. 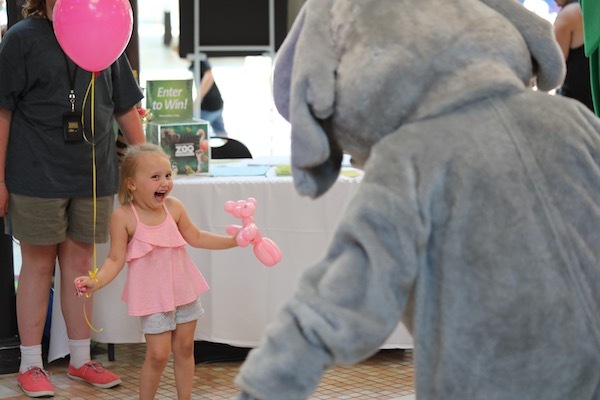 Summer Just Got Funner with the Summer Fun Day Pass!